Is Corporate Wellness Just a Trend? A recent study shows that the bottom line for 93% of small businesses is their employees’ mental and physical health. Yet, not every company who cares about their employees can provide access to the best corporate wellness program out there. Some businesses have been hesitant to jump on the corporate wellness bandwagon, but it is not just a trend. More and more companies are starting wellness programs at work. If you work in a high stress environment or if employees are allowed to come to work sick, it’s time for a change. Sometimes it just takes some research and corporate wellness facts to help businesses understand why this is so important. If you have been thinking about implementing a wellness program in the office, consider a few things first. First, is there employee interest? Start-up companies are leading the way, with 85% of them saying wellness programs are worth the investment. Wellness programs can actually help you retain employees and attract new ones. Second, do you need more information? Most employers hesitate because they don’t understand how wellness programs work. 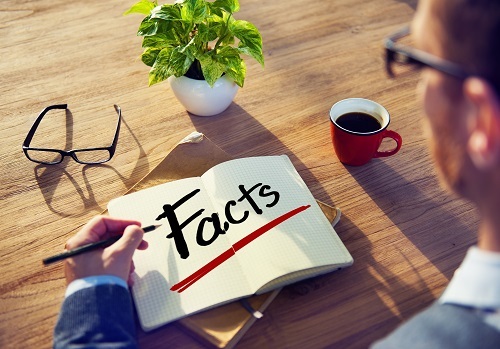 If you have employee interest but you want more information, read on to discover some of the most important corporate wellness facts out there. Too many companies focus on weight loss as their only “wellness” strategy. The reality of this corporate wellness fact is – you have to help employees change any unhealthy behaviors to really see a good ROI. Studies have found that the companies who choose three major health risks in the office to focus on saved an average of $700 per employee, per year in healthcare costs. Productivity is also much improved, leading to a better office work ethic. Though your ROI will depend on how successfully you implement your wellness program, you can expect up to $2.50 returned on every $1 invested. When offered the option, 57% of employees participate in a workplace wellness program. This includes 44% of the older boomer generation who may be dealing with expensive and chronic conditions. Not only do employees want a corporate wellness program, but you can use their input to create a customized plan for your office that benefits everyone. Many employees want to change unhealthy behaviors, they just need a little support to do it. As long as you set out to change the culture of the office for the better, you can assume employees will appreciate the changes you’re making for them. As mentioned before, companies are starting corporate wellness programs left and right. The number of wellness programs offered has increased by more than double just within the past 5 years. 34% of smaller companies (with less than 500 employees) are now offering wellness benefits. Corporate wellness programs are fast becoming a competitive business strategy. One of the most important corporate wellness facts is that wellness programs benefit both the employee and the employer. For more corporate wellness facts, get in touch with Wellworks for You! Visit our blog for more helpful wellness program tips.